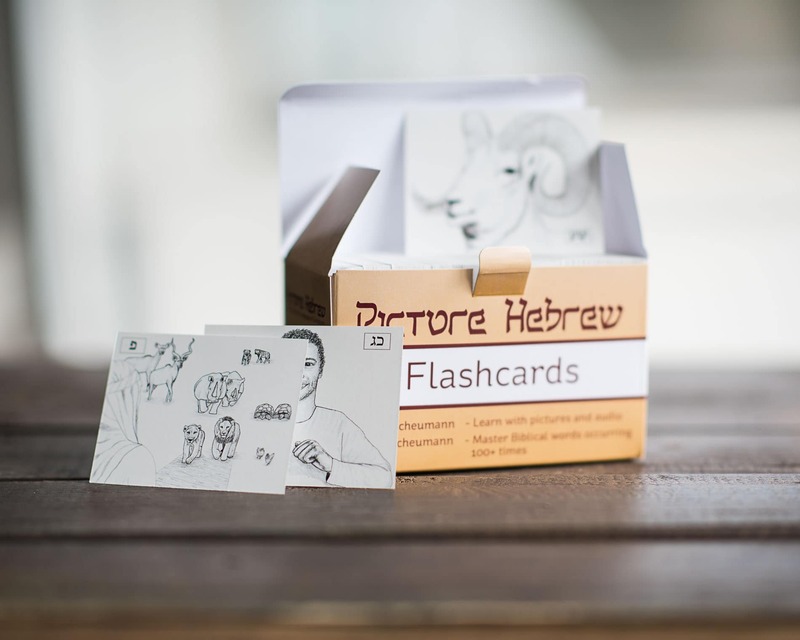 Picture Hebrew Flashcards pair images and audio to give you an immersive learning experience that makes biblical Hebrew more enjoyable and memorable. This set of 420 flashcards includes all vocabulary occurring 100+ times, everything needed to begin using a Reader’s Hebrew Bible. The pictures train you to visualize what a Hebrew word means without an English translation. 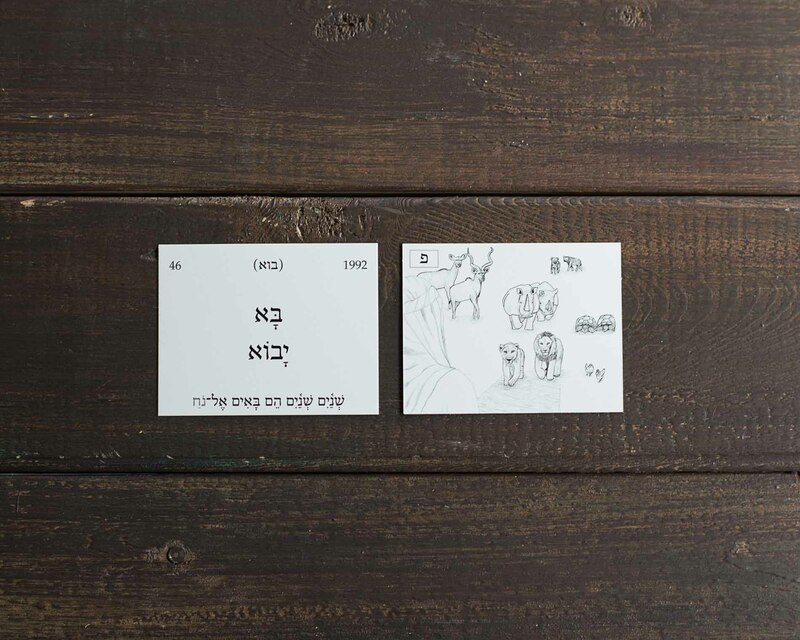 Verb cards teach you the word in context by illustrating an iconic scene and presenting a Hebrew phrase taken from the verse. Professionally-recorded audio features a native Israeli speaker for modern Hebrew pronunciation. The 580 downloadable mp3 files put you in control to create fully customizable playlists to review and master Hebrew words and sentences at your own pace. A downloadable English companion PDF provides a comprehensive reference with English definitions, a verse and a translation using each word, and often a note on usage and extra forms. #38: there should be a chireq under the yod in the dual (bottom) form, reading עֵינַיִם. #43: the cholem should be to the left of the zayin, reading זֹאת. The Hebrew flashcards were a great learning tool and as our knowledge of the language grew, the benefits and blessings also grew. Early in the class, the visual connection between the artwork and word helped to establish memory for the identification of the word. 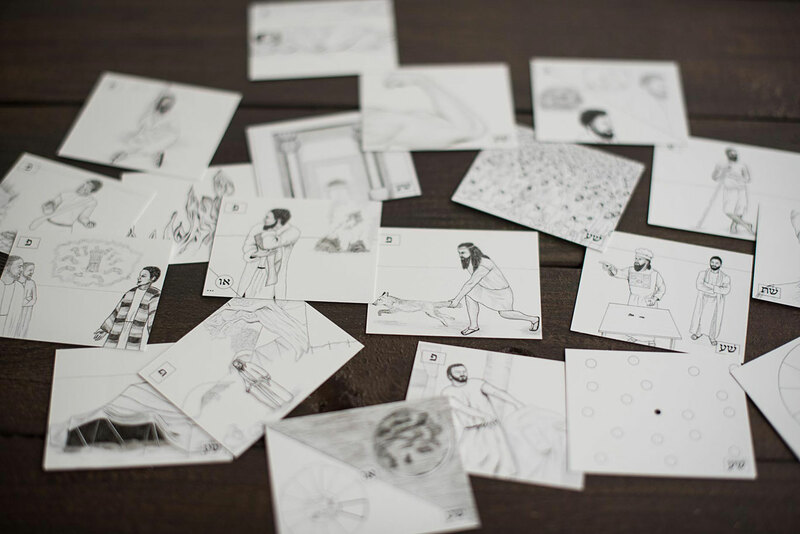 As we moved from learning nouns to tackling verbs, the artwork helped to bring out more meaning in the Biblical text which the flashcards were referencing. Eventually, as we gained greater ability, it was a blessing to read the Biblical text on the flashcard demonstrating the use of the word and the action of the artwork. The flashcards were beautifully done and it was convenient to review them on my phone when I had time available throughout the day. I love how the verb flashcards have actual verses from the scriptures which use the word on that particular card! The imagery also goes above and beyond, depicting life in Biblical times consistently, throughout the whole deck. Hebrew is my first language that I learned as an adult and the Hebrew flashcards worked great. When the words are put together with pictures it is easy. Sentences came faster than I thought. It was fun and satisfying to learn Hebrew with the flashcards. 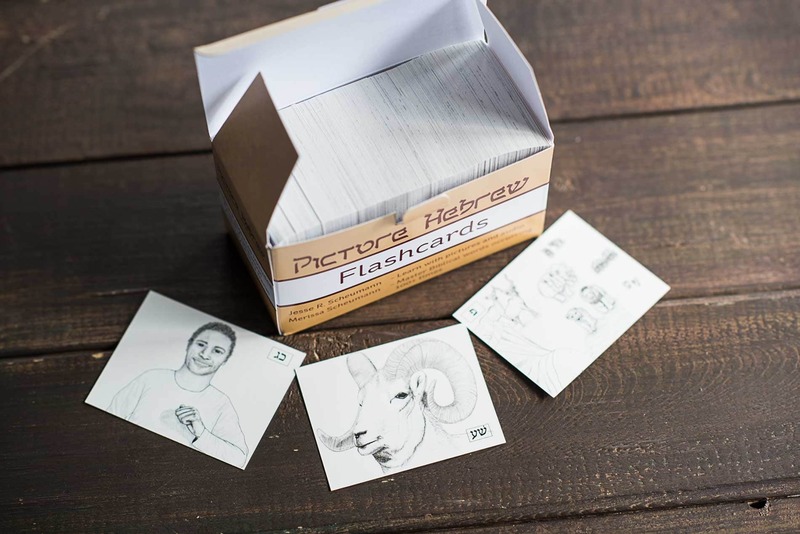 The Picture Hebrew Flashcards are helpful in that they provide an accurate and biblical image that relates to the word you are memorizing. It has been much easier remembering vocabulary using this system. I love my Picture Hebrew Flashcards! The pictures are beautifully done in a way that the meaning is very easy to discern. High quality artwork on high quality card stock—definitely worth the investment. Using these flashcards to learn new vocabulary has been extremely helpful in my quest to learn Hebrew! I found the picture flashcards to be a helpful resource for actually learning the Hebrew vocabulary, rather than simply memorizing words. The pictures provided me with more connections than a translation would have. The pictures make it easy to recognize and remember what the word means even when you’ve not looked at the flashcards for months. It’s easy to pick it up again and study. As an artist, I appreciate the sheer amount of time and energy that went into the relevant depictions of the Hebrew words. As a linguist, I appreciate the solicitous approach of the flashcards. As a student, I can attest to their value by the progress I have seen in my own understanding of the Hebrew language. I love that the flashcards are portable. It is helpful that they have strong pictures that correlate with the Hebrew words. It helps me to make a good connection in my brain to see the picture and have a connection to the Hebrew word it signifies. The flashcards were a great way for me to internalize the vocabulary words as they were drawn from familiar Biblical contexts! Also, the verb vocabulary cards were especially a great resource as each verb card printed the Biblical Hebrew phrase describing the action of the verb. 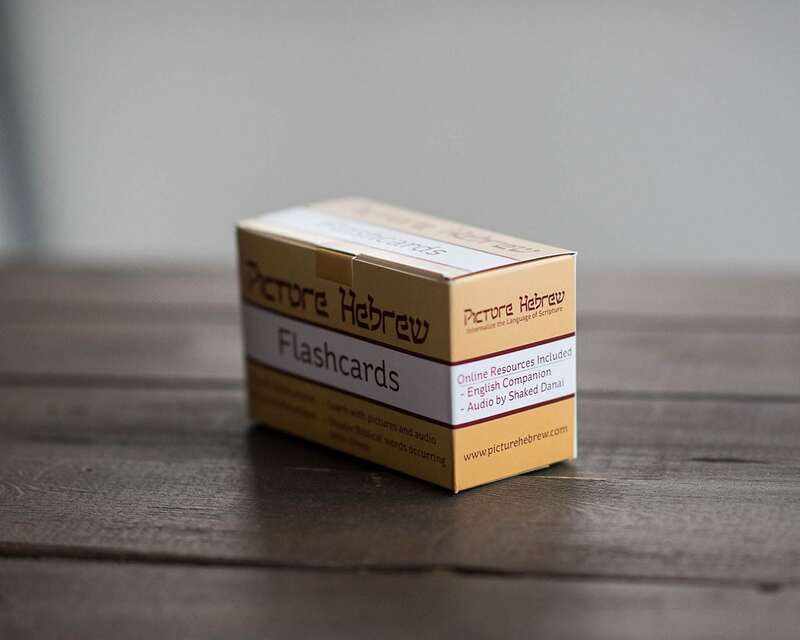 Picture Hebrew’s flashcards are an excellent and innovative way to study Biblical Hebrew. Each image has been carefully created to reflect the word it represents and adds a helpful visual element to memorization. They are useful for anyone and everyone: children and adults, those who are scholars and those who simply have an interest in learning to read the Old Testament in its original language. I’ve been using Picture Hebrew Flashcards for a little over a month, and I couldn’t be happier with the results. I’ve memorized over 75 Hebrew words already. I love the English companion that comes with the cards; it has bonus information for each vocabulary word. This system of learning Biblical Hebrew is easy and works great! In an excellent way. When coupled with the flashcard companion one can comprehend the vocabulary much easier.